Jack Rollins var en producent, filmarbetare och skådespelare. Han föddes i Brooklyn den 23 mars 1915. Jack Rollins dog 18 juni 2015, han blev 100 år. Han är känd för bland annat Sjusovaren (1973), Manhattan Murder Mystery (1993), Manhattan (1979), Hannah och hennes systrar (1986) och Anything Else (2003). Född 1915-03-23 (104 år sedan) i Brooklyn. Död 2015-06-18 (100 år). Vad du tycker om Jack Rollins? Starta en diskussion om Jack Rollins med dina vänner på Facebook eller Twitter! Jack Rollins is an American film producer and former manager of numerous successful comedians and television personalities. He is best known for his successful partnership with Charles H. Joffe, the producer or executive producer of virtually all of the films directed by Woody Allen. 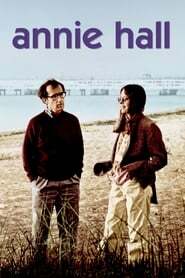 The Woody Allen film Annie Hall was listed as "A Jack Rollins and Charles H. Joffe Production", though only Joffe took producer credit and received the 1977 Academy Award for Best Picture. Both were Allen's managers and had that credit on all his films from 1969 to 1993. Rollins' management clients also included Robert Klein and David Letterman. Rollins was also a close friend of jazz pianist Bill Evans, with whom he owned a racehorse named 'Annie Hall'. Joffe focused more on Allen, with Rollins focusing on others.